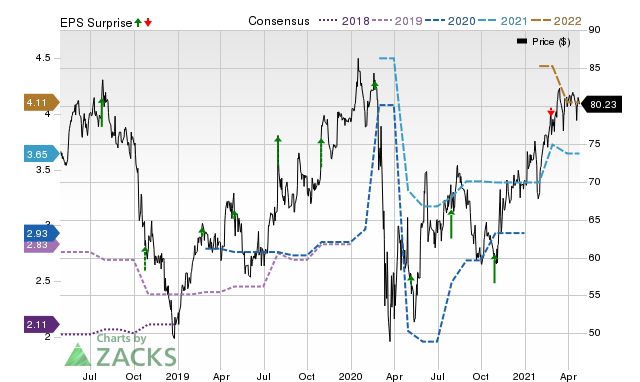 Home Stock Market Tennant (TNC) Earnings Expected to Grow: Should You Buy? Tennant (TNC) is expected to deliver a year-over-year increase in earnings on higher revenues when i t report s results for the quarter ended March 2019. This widely-known consensus outlook gives a good sense of the company’s earnings picture, but how the actual results compare to these estimates is a powerful factor that could impact its near-term stock price. Tennant doesn’t appear a compelling earnings-beat candidate. However, investors should pay attention to other factors too for betting on this stock or staying away from it ahead of its earnings release.